Info: For the first time, a monastic official self-immolated on Friday (February 17) in Themchen (Chinese: Tianjun) county in Tsonub (Chinese: Haixi ) Mongolian and Tibetan Autonomous Prefecture, Qinghai province. Thirty-eight year old Tibetan monk Damchoe Sangpo was a member of Bongthak monastery’s Democratic Management Committee, the government-established body that runs the monastery, according to Tibetan exile sources. 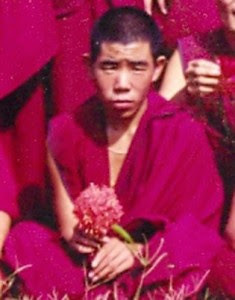 Voice of America Tibetan Service, which published a picture of Damchoe Sangpo here, reported that he died after setting himself ablaze after monks were banned from marking a religious ceremony, while other sources reported that he had objected to a rigorous "patriotic education" campaign at his monastery.